BZU library has 1840 periodical titles, approximately 152 titles are current (English-Arabic). The Library subscribes to several online databases to provide full text journals, eBooks and eThesis. 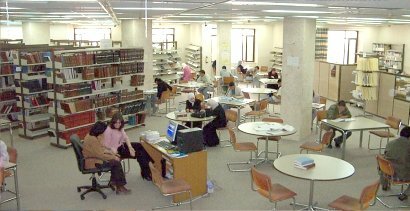 BZU library subscribes to three major Arabic newspapers (al-ayyam, al-Hayat al-Jadida, al-Quds) and maintains back issues for a period of ten years, most of which are Cds & DVDs. Current Arabic and English periodicals are arranged alphabetically by title. Bound periodicals are shelved alphabetically by title, Arabic and English combined. Indexes to periodicals are located in the reading hall of the main floor. Complete volumes of Arabic and English journals are bound and can be used freely by users in the hall of Periodicals Division. Journals do not circulate. Uncompleted volumes and unbound back issues are kept in closed storage and may be used with the permission of the periodicals staff. Daily newspapers and heavily used Arabic magazines are arranged on a shelf in the reading hall of Periodical Division. Microfilms and microfiche service assistance may be requested. Please ask staff for additional information. Any user can use the photocopy machine in the periodicals department.